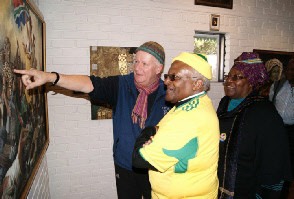 Freedom of expression has been a central theme throughout Pieter-Dirk Uys’s career as playwright, entertainer and activist. This section of the Pieter-Dirk Uys website brings together articles specifically related to freedom of speech and expression, which remains a compelling issue in many parts of the world. The articles are arranged chronologically (see the drop-down menus above).